Xylitol, white crystalline powder, as sweet as sucrose, easily dissolved in water (160g/100ml), slightly dissolved in Ethanol & Methanol, melting point 92℃-96℃, boiling point 216℃ and caloric value same as sucrose 16.72kj/g. Absorb heat when dissolved and provide natural cooling sensation in mouth. 10% Aqueous solution pH value 5.0-7.0. Appearance: white crystalline powder, tastes sweet like sucrose. 1. Healthy sweetener: extracted from natural raw materials, used as the natural and healthy sweeteners for sugar-free foods, sugar-free candy, and other healthy foods. 2. Anti-caries: can not be fermented and used by the bacterial of dental caries, greatly used in oral care products. 3. Good control of blood glucose level: can be used as the sweetener for diabetes, as nutritional supplements and auxiliary therapeutic agent. 4. Improve liver function: can promote liver glycogen synthesis, reduce the consumption of protein in the fat and liver tissue, protect and restore the liver, improve liver function and anti-fatty liver, in the use of treatment of B persistent hepatitis, have significant effect on B chronic hepatitis and cirrhosis, and is an ideal supplementary for patients with hepatitis complications. 5. Weight control: low-calorie advantage - 2.4 calories per gram, 40% fewer than other carbohydrates, is greatly used in a variety of weight control foods, and as high-calorie sucrose substitutes. 6. Improve gastrointestinal function: Xylitol can promote the proliferation of bifidobacteria. Promote the proliferation of beneficial intestinal flora, improve gastrointestinal function, has high activity, is a promising add functionality factor. 7. 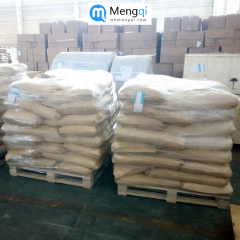 Hygroscopic character: good for the production of some softer snacks, can keep longer softness than sucrose, prolonging food shelf life, such as cakes, bread, and etc. Used as cosmetics moist adjusting agent, no stimulating effect on human skin. 8. Enhance the taste: pleasant cool feeling in the mouth, even better after being frozen. Can be used in cold drinks, desserts, milk coffee and other drinks, and an also be used in throat medicine, cough syrup. Also increase the mint, spearmint flavor of the food. 9. 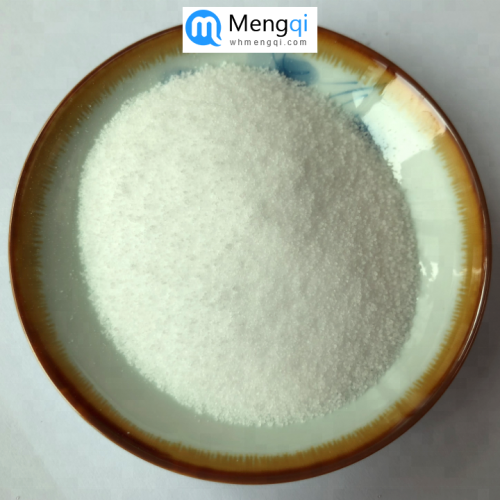 Extend the shelf life of food: Xylitol is not fermented by yeast, can be the adverse media for microbe, food containing Xylitol can prolong own shelf life. 10. No Maillard Browning reaction: Xylitol has no Aldehyde or Ketone radicel, no Maillard Browning reaction when get heating, is good to produce different bakery foods.